Your Guide to Martial Arts Weaponry - The Macho Blog. 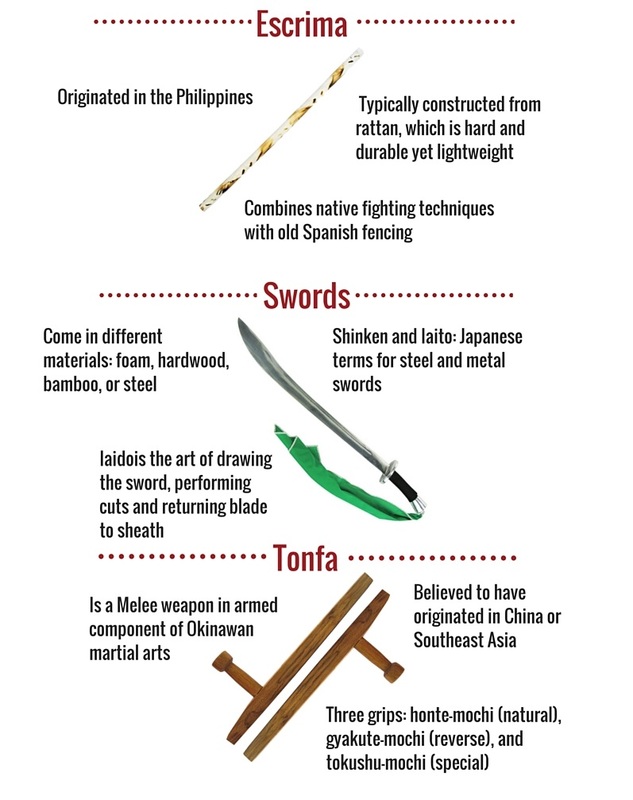 Martial Arts Weaponry encompasses a wide spectrum of tools that can be found in many forms of traditional martial arts. The weapons we see in martial arts forms and demonstration today have been used for thousands of years, dating back to ancient Asia, and the practice has developed into an amazing art from. It takes extreme discipline and focus to master these weapons. Many practices believe they are an extension of the body, as they can increase force and balance. 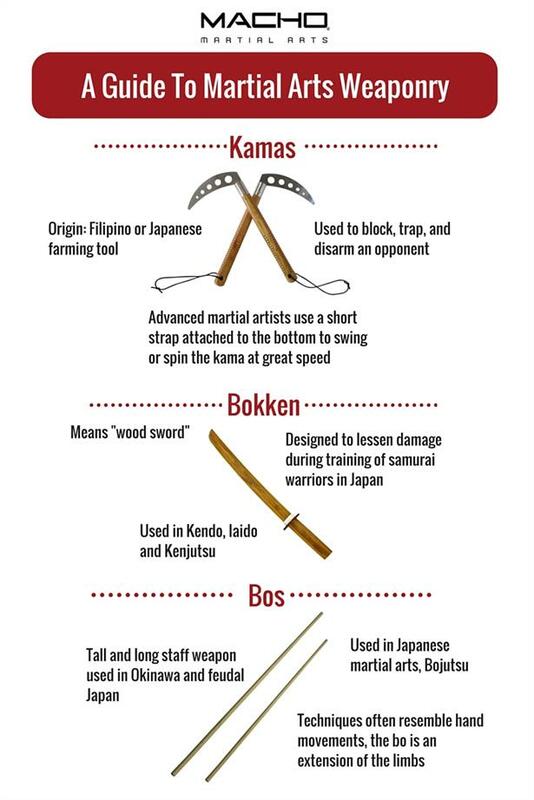 Read on to learn about the most common types of weapons found in martial arts and their uses. You are advised to seek professional instruction before using martial art weaponry. Shop Macho’s selection of martial arts weapons here.